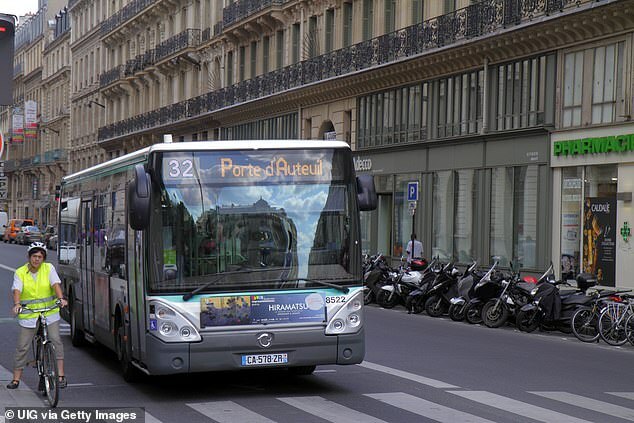 A Paris bus driver has been hailed as a hero after ordering all his passengers off the vehicle after they refused to make room for a wheelchair user to get on board. 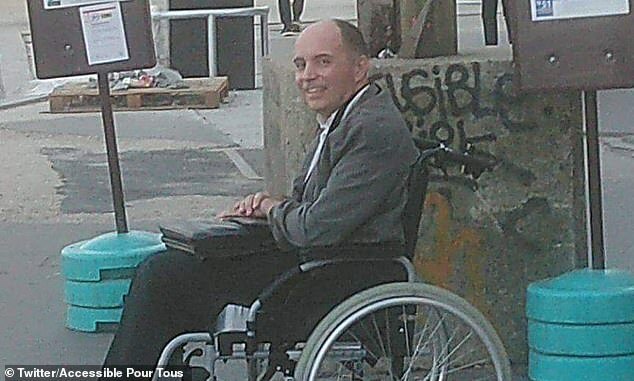 Francois Le Berre, who has multiple sclerosis, was waiting patiently at a bus stop in Porte de Clichy in the French capital’s suburbs. When the bus arrived the access ramp was put up but passengers on board did not move to allow him space, leaving him stranded outside. Spotting the problem, the driver shouted ‘Terminus’, instructing everyone to get off, before allowing Mr Le Berre on board and driving off with him and his brother as the only passengers. Most of the people who live in the suburbs work in the city. Wanstead is a suburb of London. Box Hill is a suburb of Melbourne. Once we have kids, we’ll probably move to the suburbs. A statue of him was put up in Gramercy Park. I was soaked before I could put my umbrella up. Hundreds of passengers were left stranded at the airport. He left me stranded in town with no car and no money for a bus. If the tide comes in, we‘ll be stranded on these rocks. During the storm, stranded passengers slept at the airport. Mr Le Berre said: ‘Yesterday while waiting for the bus in Paris, I laughed because no-one wanted to budge. Speaking to France’s Huffington Post, he said the bus driver had told him that ‘everyone might need a wheelchair one day’. The driver did not know him and had no disabled family members but had simply chosen to show ‘a little civility’, he said. I pulled again, but the wheel wouldn’t budge. She refused to budge from his office until she got an answer. I’ve tried moving the desk but it won’t budge/I can’t budge it. We tried to open a window but couldn’t budge any of them. It took several hours for the crowd to disperse. When the rain came down the crowds started to disperse. Police dispersed the crowd that had gathered. I expect to be treated with a little more civility. She greeted them with civility, but not much warmth. After a few civilities, they got down to business. A group called Accessible Pour Tous – meaning Accessibility For All – shared the touching story on Twitter. Paris’s bus company asked for details so they could pass the group’s good wishes on to the driver. The tweet has been retweeted more than 5,000 times and liked more than 10,000 times and many users praised the driver’s intervention. One said: ‘The bus driver is a hero!’, while another wrote: ‘Congratulations to the bus driver, but shame on the passengers’. Another user said: ‘Bravo to the driver who emptied his bus to allow the disabled person to get on.